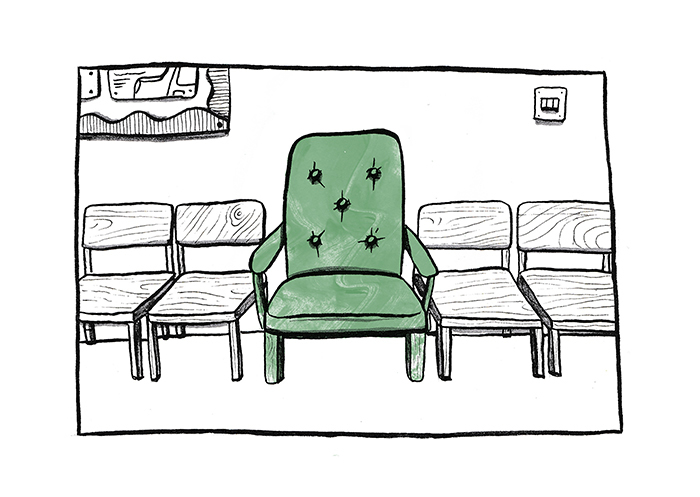 Waiting Room is a small zine, illustrating the thoughts and sites experienced when having to regularly attend medical appointments. They are liminal spaces, with little sign of how long the patient would be in that space. They are the most trafficked spaces in medical institutes, with signs of attempting to comfort, that largely fail.